Background/Purpose: Pediatric Rheumatology Care and Outcomes Improvement Network (PR-COIN) is a growing multi-center network organized on a learning health system model designed to improve outcomes of care for children with juvenile idiopathic arthritis (JIA). Since 2011, data from JIA clinical encounters have been entered into a shared registry to track performance on process and outcome quality measures (QMs) to drive improved outcomes. Currently, 18 centers learn established quality improvement methodology to conduct quality improvement work and share best practices at biannual face-to-face learning sessions and monthly webinars. Methods: Statistical process control methods are used to determine if there are changes in performance on the QMs. A centerline (the mean of the first 12 months of data) and control limits (±3 SD) are calculated, and control charts are monitored for special causes. Site specific and aggregate control charts are displayed monthly. If it is determined that a sustainable change has occurred, a new centerline and new control limits are calculated. Process QMs include measurement of: arthritis-related pain, physician global assessment of disease activity (PGA), joint counts, health related quality of life, physical function, medication counseling, as well as adherence to guidelines for uveitis screening, medication toxicity monitoring, and tuberculosis screening. Outcome QMs include: proportion of patients with clinical inactive disease (CID), mild to no pain, and optimal physical function; mean clinical Juvenile Arthritis Disease Activity Score 10 (cJADAS10); and percent of polyarthritis or oligoarthritis patients with inactive or low disease activity by cJADAS10. Results: As of May 2016, 4722 JIA patients are enrolled, with over 28,000 visits recorded in the registry. Performance improvements have been achieved in process QMs, including percent of patients on Disease Modifying Anti Rheumatic Drug (DMARD) who had appropriate toxicity lab monitoring (from 49 to 78%) and documented medication counseling with DMARD initiation (from 14 to 75%). In addition, PR-COIN sites reliably perform complete joint counts (99%), PGA (92%), measurement of arthritis-related pain (94%), and tuberculosis screening for patients newly prescribed biologic drugs (99%). Forty-six percent of all PR-COIN patients have CID, with marked center-to-center variability (range 26% to 58%) and statistical improvement in a subset of centers. Seventy-four percent of patients have mild to no pain, and 58% have optimal physical function. PR-COIN has shown improved outcomes in mean cJADAS10 scores (from 4.6 to 3.8) and percentage of patients with inactive or low disease activity by cJADAS10 (from 50 to 54%) from 2011 to present. Conclusion: PR-COIN has demonstrated success in improving processes of care for management of JIA. There is, however, variability in performance across centers. The dichotomous outcome measure “clinical inactive disease” has been slow to show statistical improvement in aggregate. By adopting a continuous outcome measure, the cJADAS10, PR-COIN has been able to demonstrate incremental improvements in outcomes for patients with JIA. Disclosure: C. A. Bingham, None; J. Pratt, None; C. Yildirim-Toruner, None; R. Laxer, 5; B. Gottlieb, 5; J. Weiss, None; T. Lee, None; S. S. Vora, None; J. Burnham, None; J. Harris, None; J. C. Olson, None; M. Passo, 5; M. Batthish, 5; M. Shishov, 5; K. Ferraro, None; D. M. Levy, None; C. O'Brien, None; K. Whitney-Mahoney, None; N. Griffin, None; A. Paul, None; E. Morgan, None. Bingham CA, Pratt J, Yildirim-Toruner C, Laxer R, Gottlieb B, Weiss J, Lee T, Vora SS, Burnham J, Harris J, Olson JC, Passo M, Batthish M, Shishov M, Ferraro K, Levy DM, O'Brien C, Whitney-Mahoney K, Griffin N, Paul A, Morgan E. Pediatric Rheumatology Care and Outcomes Improvement Network Demonstrates Improvement on Quality Measures for Children with Juvenile Idiopathic Arthritis [abstract]. Arthritis Rheumatol. 2017; 69 (suppl 4). 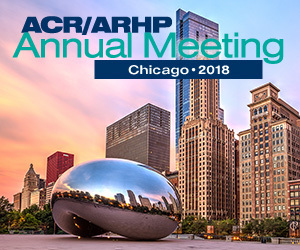 https://acrabstracts.org/abstract/pediatric-rheumatology-care-and-outcomes-improvement-network-demonstrates-improvement-on-quality-measures-for-children-with-juvenile-idiopathic-arthritis-2/. Accessed April 18, 2019.